A healthy blog is the cornerstone of a successful content marketing campaign. Each article needs to speak to your target audience with a consistent brand voice. The articles you choose to publish must solve a problem for your reader. They should reduce pain and aggravation, positioning your products as the ultimate solution to their immediate need. One of the biggest mistakes I see aggressive content marketers make is embracing the instinct to publish a ton of how-to guides, product comparisons and troubleshooting articles. Talking about your product and how it can improve the lives of your reader is a good start. But you need more than that. A well-rounded blog solves the pain points for the reader, while peeking their curiosity about current events. Forgetting to cover current events is kind of like forcing your audience to read the product manual, without providing the context for why reading the manual is important. I look for ways to highlight exciting events involving recognizable brands. Adding a couple of current event stories for every 5-10 how-to posts is a great way to spice up the headlines on your blog and reinforce relevancy. 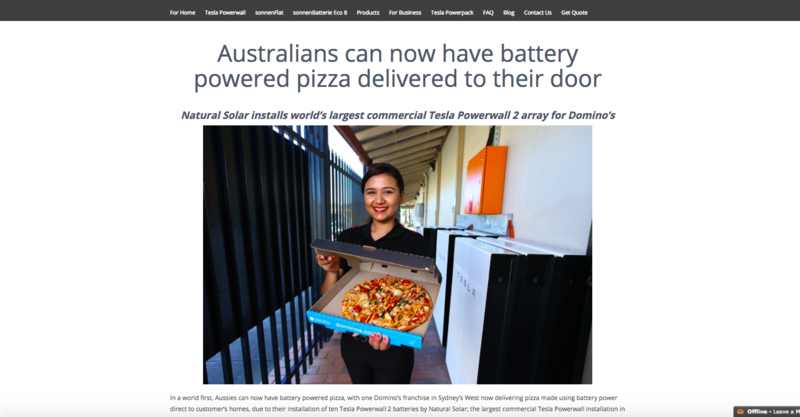 For example, this story involving Domino’s installation of Tesla Powerwalls at their pizza franchise provides a current event story that reinforces the importance of renewable energy for forward-thinking brands. It has all of the important ingredients – two iconic brands and a sympathetic cause that can be used to focus the audience on renewable energy products. Playing to a reader’s sense of curiosity has always been a mainstay of modern marketing. But, if you can spark their curiosity within the context of your product-line, you’ve got a winner. Finding current events that play to your product line can be difficult. So, if you’re struggling to come up with some story angles, take a page out of Elon Musk’s playbook. Within days of hurricane Irma decimating the Puerto Rican power grid, he announced that Tesla would be sending hundreds of battery packs to help distribute power to communities left in the dark. The brilliance of this is two-fold. First, he gets to flex his bona fides as an ethical business leader. Second, he gets to cash in on free-media as news outlets announce his initiative, using his brand name in virtually every headline. And Musk wasn’t alone in deploying this strategy during the crisis in Puerto Rico. Mark Cuban-backed LuminAID announced that their emergency light and power backup systems would be included in the relief flight flown by Dallas Mavericks owner’s Boeing 757. The story was featured around the web, and even earned a promotional spot on MSNBC’s Shark Tank, where Mark Cuban serves as an investor/shark. It can take time for a solid PR strategy to manifest itself into a story worth covering as part of your content marketing efforts. If you’re stuck looking for a story while you wait for your own story to unfold, look no further than Facebook’s trending box. On a slow news day – which of course always seems to happen on the days that I need a fresh story to post on our blog – I’ve had great success snagging headlines from Facebook trending. And if I publish before the story is old news, I can even take advantage of the trending topic to gain some free attention from Facebook users that are following the story. Successful content marketers are gurus at finding an angle that makes their message relevant to current events. 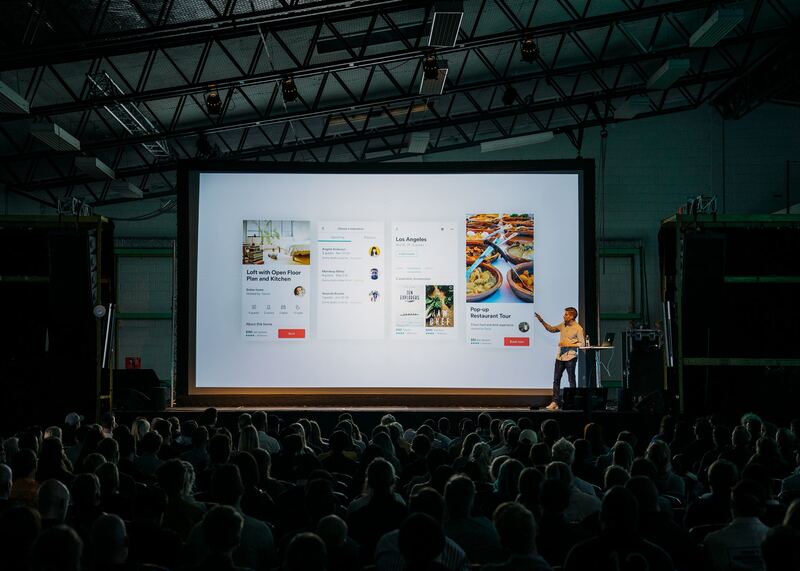 Whether you’re making the news yourself, or covering an external current event, try to provide context to your how-to content by highlighting juicy stories involving known brands and industry-related events. 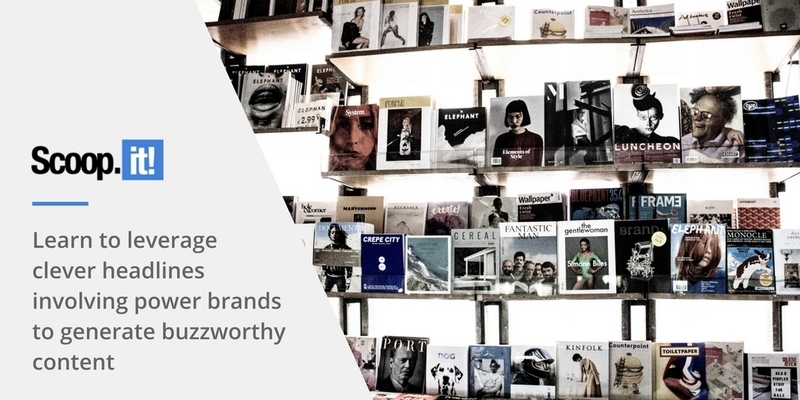 1 Comment on "Learn to leverage clever headlines involving power brands to generate buzzworthy content"
Amazing post. @Dan Steiner I really liked the part where you talk about using trending news and tactics on social media to interest the audience following that news. I have tried this before and it is not an easy task. Could you recommend some tools by which I could do so.